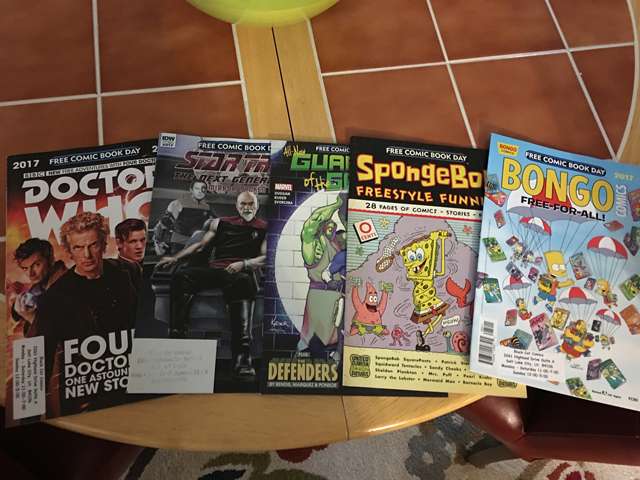 Most years that I am not traveling, I make it a point to go to one of my local comic book stores on the first Saturday of May for Free Comic Book Day. My daughter and I made it a point to visit one of the stores that I hadn’t been to yet here in Salt Lake City called Black Cat Comics. Some stores limit you to one free comic per person. This store was much more accommodating and it was one title of the 15 or so free comics. The line was out the door and it was an easy hour before we got entry inside the store and a total of 90 minutes before we got to the table with the free comic books. Can’t wait to the read the Guardians of the Galaxy issue. 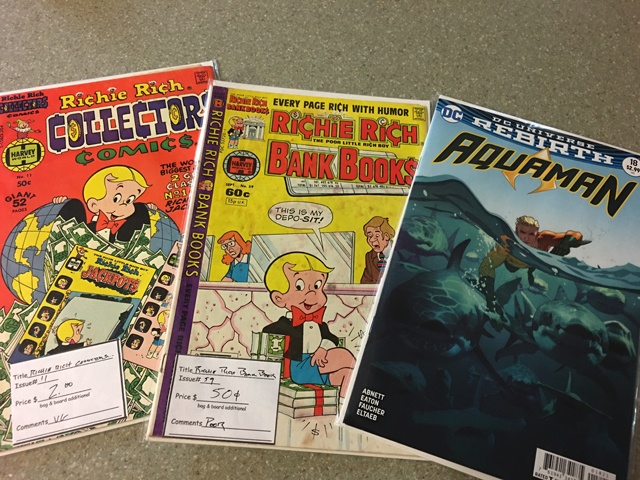 Since I rarely visit during the other 363 days of the year, I made it a point to purchase a few titles that I found of my two favorite comics: Richie Rich and Aquaman. My love of Richie Rich comics brings back so many memories of me as a kid, visiting the metal rack carousel that 7-Eleven, Thrifty Drug and Lucky Supermarket had. I would spend a good 20 minutes looking at each title and trying to remember if I had it already. Such fun each year, looking forward to visiting. I really need to go more often and find more comic treasures from years past. So where you love Richie Rich, I’m a classic Archie junkie. Nice! Awesome. Comic fandom for a character is all good here.